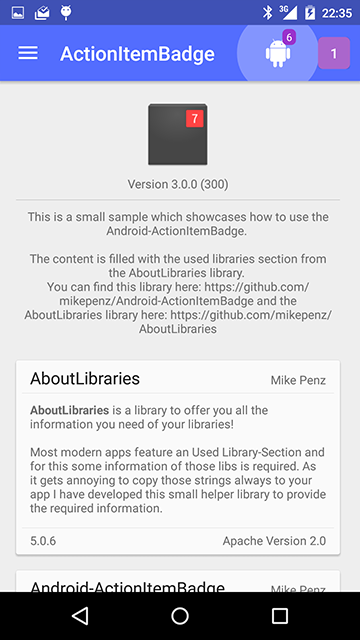 ActionItemBadge is a library which offers a simple and easy to use method to add a badge to your action item! 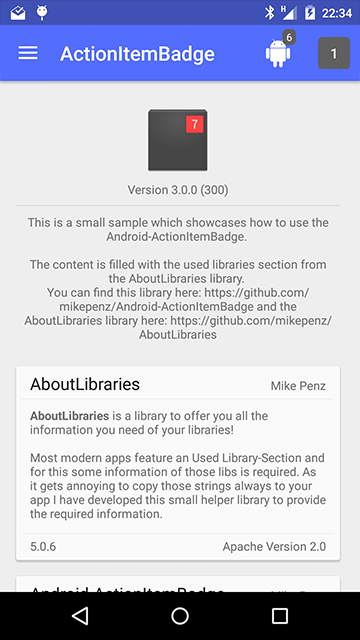 The ActionItemBadge Library is pushed to [Maven Central], so you just need to add the following dependency to your build.gradle. If you come from a version prior 3.0.0 you will have to rename some classes, and the default styles also found a new place. Just check out the updated sample app for all the changes. If you want to update the item itself you can do the required stuff in the onOptionsItemSelected method and call invalidateOptionsMenu() afterwards.